Protesters demanding the resignation of Malaysian Prime Minister Najib Razak over a financial scandal remained on the streets of the capital early Sunday, after the first day of the massive rally passed peacefully despite police warnings that the gathering was illegal. The crowds flooded the streets wearing yellow shirts of the Bersih movement — the coalition for clean and fair elections — even after authorities blocked the organizer's website and banned yellow attire and the group's logo in a bid to deter the rallies, which were also held in other Malaysian cities. 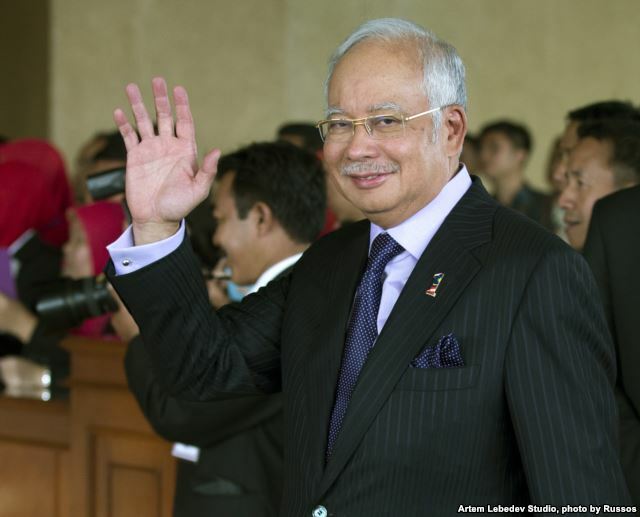 Najib has been fighting for political survival after leaked documents in July showed he received some $700 million in his private accounts from entities linked to indebted state fund 1MDB. He later said the money was a donation from the Middle East, and he fired his critical deputy and four other Cabinet members as well as the attorney general investigating him. Najib has suggested that the corruption allegations are part of a "political sabotage" against Malaysia's longtime ruling coalition, and he slammed the weekend protests for tarnishing Malaysia's image. "Those who wear this yellow attire ... they want to discredit our good name, scribble black coal on Malaysia's face to the outside world,'' he was quoted as saying by national news agency Bernama. 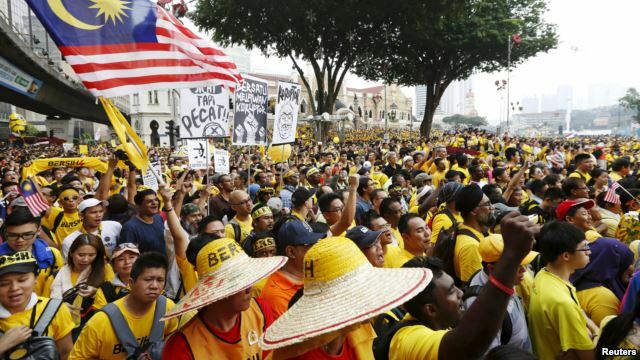 Police estimated Saturday's crowd at 25,000, while Bersih said 200,000 participated at its peak. The allegations against Najib surfaced last month in The Wall Street Journal, which based its story on leaked documents from a government investigation into the 1MDB fund. 1MDB, which is chaired by Najib, faces accusations of corruption and mismanagement, and is over $11 billion in debt. It is under investigation by several government agencies.